Before retiring to Wilmington, Chef Theodore Alexander Fouros owned six restaurants in Manhattan. 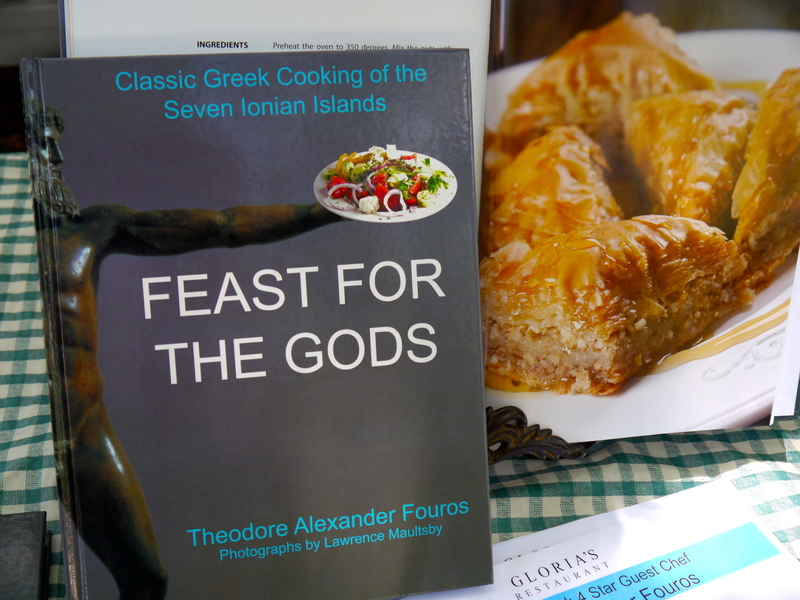 The Switzerland-trained, four-star chef is the author of the classic Greek cookbook, Feast for the Gods. The cookbook contains 165 recipes, passed down from one generation to the next, many unrecorded before. Over 100 color photographs by Lawrence Maultsby of Wilmington, North Carolina, capture the purity of this cuisine. (Available at Amazon.com and local bookstores). 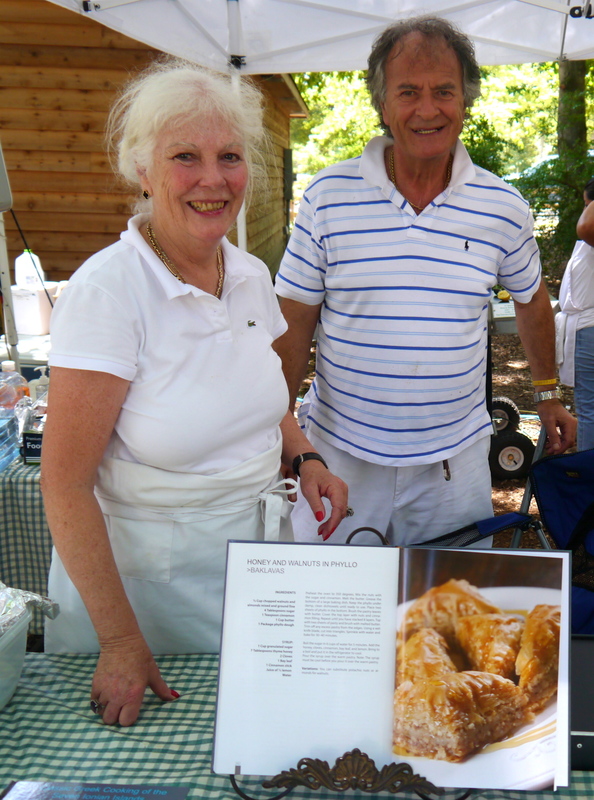 I had a chance to taste some of Chef Fouros wonderful Greek cooking at a food tent at the recent Poplar Grove Car Show. My taste buds were definitely surprised by the fresh taste of some classic Greek offerings. So why is a Greek Chef preparing a Northern Italian dinner? Because of the proximity of the Seven Islands of the Ionian Sea to Italy, their cuisine has a lively mixture of Italian, Venetian and French flavors. So for a unique foodie adventure, join Chef Fouros at Gloria’s on July 27th, or plan to attend one of their cooking classes at Poplar Grove Farmer’s Market. This entry was posted in Festivals / events, Food and Wine, North Carolina, Wilmington, NC. Bookmark the permalink.